April 8, 2016. 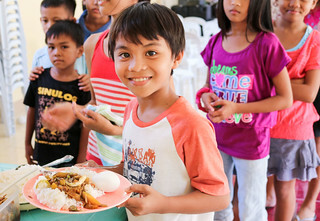 We are happy to report that our new Children’s Hope Center on the island of Cebu opened during the second week of March. 30 children are enrolled in the Hope Center’s after-school care program which includes homework tutoring and other activities, along with snack and meal services for children suffering from extreme poverty. The program model has proven highly effective; this is our 5th Children’s Hope Center launch — the Hope Center model was first established in 2011 by our India team in the slums of Hyderabad, South India. The Cebu program is held in a new multipurpose facility on our main campus we’ve been slowly working on for about a year now.